Migraines are among the worst types of headaches that can adversely affect a person. The reason for this is that pain isn’t the only symptom associated with a migraine. Additional symptoms include nausea and a heightened sensitivity to things like sound and light. The worst aspect of a migraine is that both the intensity and duration of the headache can vary a great deal. At its worst, the pain can be severe and the duration lasting for hours. The important thing to do once you notice that you’re suffering from a migraine is to seek treatment immediately, as these headaches can reoccur. Here’s an in-depth look at migraine causes, how they are treated and the many benefits associated with chiropractic care. There are several standard treatments for migraines. The treatments available to you fall into two distinct categories, one that focuses on pain relief and another that generally includes preventative medications. The category of treatment that focuses on pain relief is meant for anyone currently going through signs or symptoms of a migraine. Unfortunately, these treatments come with the possibility of side effects, even if you stick to the recommended dosage. As for preventative medications, these are usually administered if the migraines have become too severe. Preventative medications can have some severe side effects and don’t display their results until a couple of weeks after first consuming the medication. 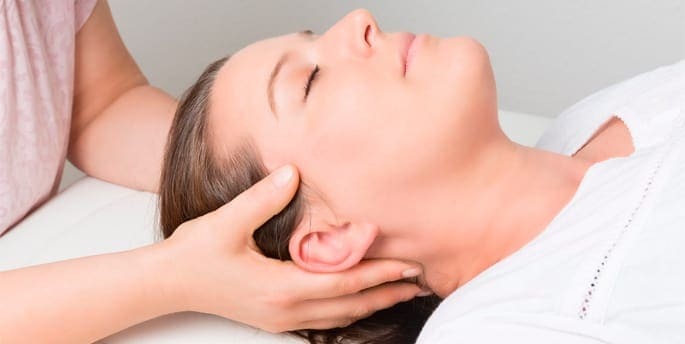 Because of the general side effects and risks of standard treatments for medications, chiropractic care is viewed as the primary solution for these headaches. You won’t need to take any drugs to cure your symptoms and can instead focus on non-invasive therapies that basically don’t have any actual risks to them. This care is especially important in cases where you suffer from chronic migraines, as standard treatments likely haven’t helped you in the past. In essence, migraines are caused because of a general misalignment with the cervical spine. Because of this, it’s easy to see why regular medications will merely reduce the symptoms of a migraine for a short period of time, as they can’t actually attack the very cause of the migraine in the first place, which is the misalignment. Chiropractic care can fix this issue and help to alleviate the pain you experience and the severe headaches you’re going through. This care takes aim at the cause of the migraine and moves to correct the problem with simple and efficient therapies. These therapies are highly effective and come with a wide range of benefits. There are practically no risks to this type of care, so you can be confident in knowing that your headaches will be properly addressed. There are several causes for this type of headache. The main cause is usually tension within the neck muscle. Standard manipulation along the cervical spine is typically all that’s necessary to alleviate this issue. Some of the other causes that aren’t quite as common as basic tension include tension along the shoulders, tension in some area of the back, a consistently bad posture or a stiff neck. By seeking treatment after you’ve suffered from a migraine, you will be able to identify the exact cause for your severe headaches. There are a myriad of benefits that you can obtain when receiving this type of care. For one, you get to avoid taking drugs and other medications that have numerous side effects to them. This provides you with a peace of mind that the treatment method you’re seeking is a safe and ultimately effective one that could do you some good. In fact, this type of care is largely considered to be the most effective kind around, as well as the safest. Safety is one of the primary benefits, as this care doesn’t really contain any long-term side effects that you should be worried about. While most medications tend to simply alleviate the symptoms for a short time and possibly prevent one or two attacks in the future, chiropractic care is designed to eliminate these headaches for good. The risks associated with taking medications versus the risks of this type of care clearly display that the latter will yield many more benefits. Several scientific studies have backed up this conclusion. If you’re suffering from a migraine or have been going through them for quite some time, it’s important that you seek this treatment immediately.